The decision to buy a home is a hard one to make, especially when the real estate market never seems to stay steady long enough to make the right choice. However, if you’ve been on the fence, now is undeniably the right time to buy a home. You’ll certainly be glad you didn’t wait. Although home prices have been on the rise throughout 2016, experts believe that things will shift in 2017. Interest rates are starting to climb in the last quarter of 2016, and as they continue to climb, home prices should start to level out, if not fall somewhat. If you’ve been waiting for the rising prices to slow down, now is the perfect time to bid on your dream home and make things happen. The flood of buyers can’t make up for the numbers of unsold homes, and because so many have been on the market for so long, sellers are ready to start making deals. As home prices start to level out, more owners will start selling. This means that buyers will have more choices than they’ve had in recent months. Homes have appreciated significantly, and this appreciation is also expected to slow down in 2017. Owners want to sell while they can get the most out of their homes, and this will have a tremendous impact on the supply-and-demand side of the real estate market. More supply and less demand means lower home prices, and buyers will do well to get in early. Even though home values themselves are still on the rise, mortgage rates are rising right along with them, which means you should get that mortgage sooner rather than later. In the weeks following Trump’s election, mortgage rates increased by about .5%, which brought them to their highest since January 2016. These rates are expected to continue rising, especially after the Federal Reserve’s plan to increase its rates, as well. With the republican presidency will come economic growth, and with that growth will come inflation. This means that mortgage rates will continue to climb, so locking in a good rate now is the best course of action. If you think rent prices are high now, just wait until 2017 is in full swing. The very same inflation driving up mortgage rates will continue to drive up rents – but much more quickly. Rents could see a tremendous increase, particularly in areas with an already high cost of living. 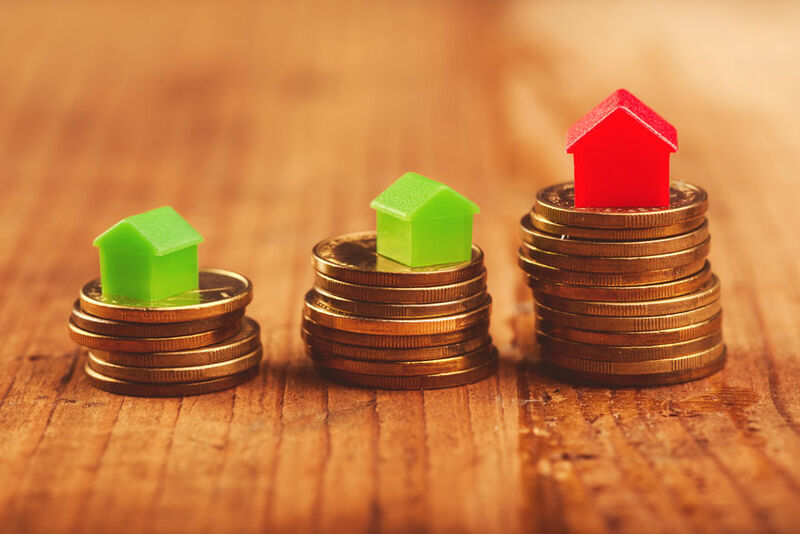 With that said, even higher-interest mortgages will likely turn out to be cheaper than renting in most markets across the country, and thanks to increasing home value, you’ll be able to build equity in your home in the first few years of making payments. With home values increasing, home prices leveling out, and mortgage rates on the rise for the foreseeable future, now is the perfect time to buy the home you and your family have your eye on. Locking in that mortgage rate now can save you thousands, and it’s more financially feasible to build equity while you’re paying a mortgage payment than to pay an outrageous monthly rent. This entry was posted in Blog and tagged home values, mortgages by Scott Li. Bookmark the permalink.